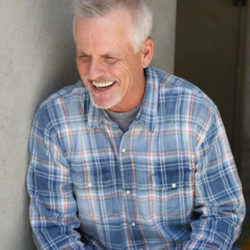 Born in Detroit, Rob Paulsen spent his childhood in Livonia and Rochester, attending Junior and Senior high school in Grand Blanc, Michigan. Rob loved cartoons like most kids but aspired to be a professional hockey player. "Fortunately, thanks to some big, strong, kid from Winnipeg who drilled me so hard my ears are still ringing, I learned around the age 18 I had neither the talent nor the temperament to make a living playing hockey. So, I turned to my other passions: singing and acting." With over 2,000 half-hours of animation credits, Rob's versatility shines in his starring roles as the voices of Donatello (Nickelodeon's "Teenage Mutant Ninja Turtles"), Yakko Warner, Pinky and Dr. Scratch 'n' Sniff in the Peabody and two-time Emmy award-winning series "Animaniacs". As passionate about "paying it forward" as he is about his lucrative career, Rob supports various charities, particularly those benefitting children and military veterans. In his leisure time, Rob enjoys golf, cruising the PCH, and occasionally lacing up his skates for another chance to relive his past glory on the rink. He spends the majority of his free time with his wife, Parrish, and their Yorkshire terriers, Pooshie and Tala.